Europe's economy is not strong enough to be taken off life support. That's the view of the European Central Bank, which announced Thursday that it will extend its bond buying program until at least December 2017. But the pace of purchases -- currently at €80 billion ($86 billion) a month -- will slow to €60 billion ($64 billion) a month starting in April. Investors had expected the stimulus program to be extended by six months. But the central bank surprised by reducing the program's punch while also extending it for much longer than investors had anticipated. ECB chief Mario Draghi insisted that while the bank will be buying fewer bonds, the policy change does not constitute a "taper." "The key message is to show that there is no tapering on sight, to show that the ECB will continue to stay in the market and to exert pressure on the market prices, without distorting them," he told reporters. Draghi said the central bank was able to slow its bond buying because the risk of falling prices is now less than in March of last year, when the bank increased its purchases from €60 billion to €80 billion a month. Bill Adams, an economist at PNC, agreed that the bank would reduce its purchases "super slowly." He said the central bank had made clear that it was committed to stimulus for as long as the economy needs support. The euro jumped slightly against the dollar after the announcement, but dropped 1.3% as investors digested the decision. "Presumably, the Bank has been encouraged by signs that the economy is performing well in the face of political uncertainty at home and abroad. However, it clearly remains in cautious mode," said Jennifer McKeown, chief European economist at Capital Economics. The ECB's stimulus expansion comes before next week's key meeting of the U.S. Federal Reserve. The Fed is widely expected to raise its key interest rate for the first time this year -- a sign that the central bank thinks the U.S. economy is improving. Growth has picked up across the eurozone this year, and inflation is still well bellow the central bank's target. The euro area grew annualized 1.7% in the third quarter, according to Eurostat. But investors are also nervous about the political turmoil in Italy. 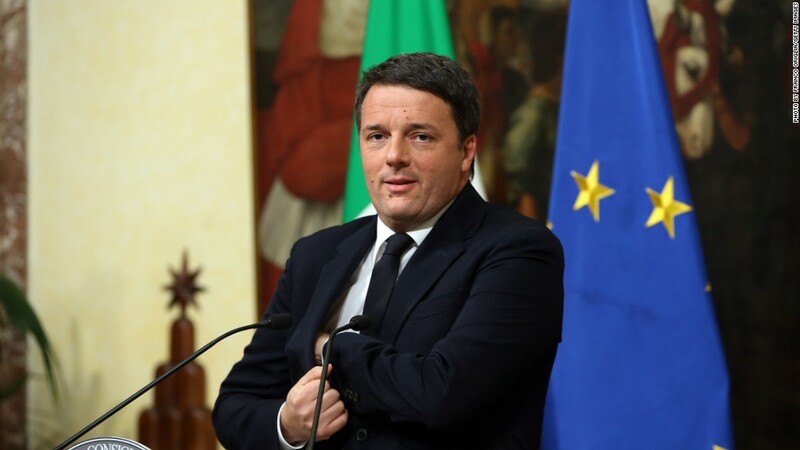 The country's Prime Minister Matteo Renzi resigned this week after losing a referendum on constitutional changes. Italian banks have a huge bad loans problem and urgently need to raise new funds.